I've never been a vanilla freak. It's nice in cookies and stuff, but I actually stopped using it this past year because my grocery store was charging 2000 yen per teeny bottle. 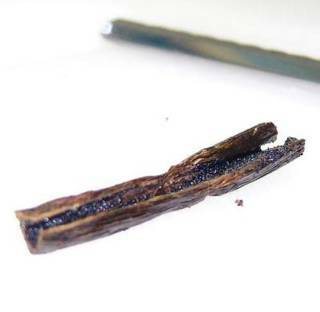 As for a real vanilla bean--well, if I was going to be stingy about a little bottle of extract that could probably contribute toward many, many batches of cookies, I sure as heck was not handing over money for one bean, one skinny black bean, that could only be used once. I guess if I were Jack, I'd have kept Bessie, and after we ate Bessie, we'd all have died of starvation cause I never would have bought "magic beans," nor climbed a beanstalk, or saved some stupid harp. But...my husband. Now he is a vanilla man. This guy can walk into a Japanese department store basement (which is where the goodies always are), and while I'm still reeling from the sight of all those glorious, gorgeous confections glinting behind case after case, he'll march straight up to the first shop, pick the most vanilla product they've got (like vanilla butter biscuits, for god's sake! ), and drag me out again. He hates Japanese department store basements, while I could linger forever. Anyhow, I had been abruptly placed in charge of cooking Christmas dinner (with only two days' notice) for the two of us, and I knew instantly that dessert should be something vanilla. But not just plain vanilla. Real vanilla. Nothing but the good stuff for my honey--never mind all that talk from America's Test Kitchen about how no one can actually tell the difference in a blind taste test between real and fake vanilla. Yeah, whatever, you. After some research, I learned that using real vanilla beans is only worthwhile if put into non-baked things, like mousse, where the flavor and aroma will really stand out. Also, you can stretch the worth of a vanilla bean by putting it in a jar of sugar to make vanilla-scented sugar. Or, you can make your own extract. Anyone familiar with my sourdough starter and fruitcake interests will understand where I'm going with this. 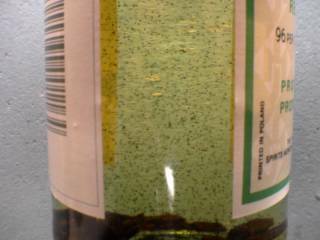 which is 96% alcohol, if you can't read the label, and can you believe people actually drink this stuff? My husband had some once, and after he came home, I found him sitting on the floor in the shower, immobile. I am definitely hiding my vanilla extract. Anyhow, after procuring a small bottle containing two vanilla beans (600 yen--not bad), I used up half for a panna cotta, which was the easiest thing I have ever made in my entire life and tasted quite good, but was a bit too rich for my taste, and thus I maintain my preference for egg custard. I then snipped up the remaining beans into little bits and put them directly into the vodka bottle. I have to keep shaking the bottle from time to time for about four to six months. When I do, the little vanilla seeds go whirling through the alcohol. It's like having my own snow globe. Except that the snow is black. So it's more like a coal globe, or, bottle. Although the color has changed drastically in only a few days--and the scent is already quite lovely--I wonder if I should add more beans because most recipes say the formula is about one vanilla bean to 3/4 cup of alcohol. So how was the flavor? This was, after all, my first taste of real vanilla beans. It was beautiful. As I was scraping the vanilla seeds for the panna cotta, some of those little guys unavoidably got stuck to my fingers. This is not a news flash but the aroma of vanilla beans is soft and flowery. Later, as I was working some brioche dough, the scent of vanilla on my hands mingled with all that butter from the brioche and rose up to make for some very aromatic but tiring dough beating. Wow, how long will it take for it to become extract? Maybe more beans would be a great idea cos that bottle looks pretty big. You want some vanilla beans if I can find some cheap? Sorry, I couldn't find any vanilla beans in the local supermarket (but they did have 3 kinds of immitation vanilla flavors), maybe if I have time, I will look for a gourmet food store in the area. Were you any good at chemistry? You certainly have a knack for kitchen chemistry experiments. I think I like the idea of vanilla beans soaking in 96% alcohol. Hm. I think, it's more like, I like the idea of 96% alcohol. That would certainly knock your liver out. Let me know how the extracting of vanilla essence goes. Lynn, thank you so much for the offer to buy vanilla beans. But even in the U.S., I think they're really expensive. Hsin-Li, I totally sucked at chemistry, which is one of the main reasons that I am not today "Dr. Rachel" with actual human beings' lives at my mercy. For cheap vanilla beans, please go to this website www.vanillaculture.com. But i think the minimum order is 500 grams, but email them directly for large order. A friend said that he bought for only US$150 per kilogram, that's like 50 cents per vanilla bean !!! Thanks for the suggestion, KC! buying "cheap" vanilla beans is not necessarily a good idea. Vanill beans are really hard to grow and about 5 years ago much of the world's vanilla was wiped out in a storm and flood. this is the most reliable source for vanilla beans that I know of. another nice alcohol for making extract is cognac. pure grain alcohol is pretty yucky, it didn't kill me but it is powerful! Hey there, my mom just purchased some vanilla beans and is thinking of trying your experiment. 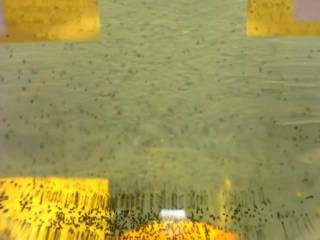 Just thought to get your feedback how the experiment is going! 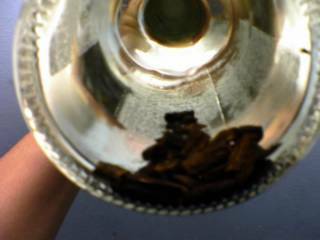 Hey Hsin-Li, not sure if you got my e-mail, so just in case: my extract turned out fairly weak, so I would recommend about three vanilla pods to half a bottle of vodka (approximately one cup). 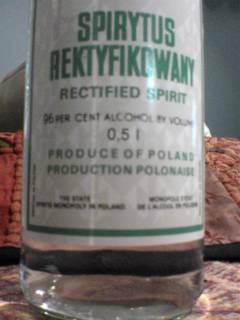 Also, I didn't want to lose any of the precious seeds, so I just snipped the pods into little pieces, using a scissors, directly into the vodka bottle. But some recipes suggest splitting the pod lengthways. Last, if your mom has extra vanilla pods, I recommend that she make some vanilla sugar as well. Even if she scrapes out the little seeds for other things, the pods are still full of aroma. I read that you're supposed to dry out the pods on a baking sheet in the oven, but I just stuck a small piece of vanilla pod in some sugar (the proportion here really doesn't matter, and I hear you can keep topping up the sugar for quite some time), and now it smells absolutely heavenly! I use it in my baking and sometimes add it to my coffee. 'Tis wonderful! Hi shuna! I'm so sorry, for some reason I didn't see your comment until now. Thanks so much for that info on vanilla--not to worry, in Japan, there is no such thing as cheap vanilla! So I couldn't get my hands on any, even if I wanted to. Oho, you've actually drunk pure grain alcohol? Just typing those words makes my vision blur. I really like vanilla. This is great post! putting vanilla beans in alcohol is not all it takes to a make good extract and cheap vanilla beans usually have very little vanillin content,dont use immitation vanilla as it is anti-freeze!and nearly all of your vanilla extracts in the world are synthetically extracted with depol t40 it is almost impossible to get real extracts anywhere in the world except for 1 company in australia called vanilla australia. cheers. 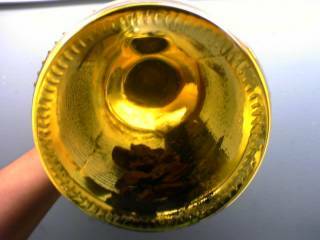 Good information, we make vanilla extract use vegetable glycerin as alcohol substitute.